Worried by incessant killings and abductions of people by armed bandits in Zamfara and other states where kidnappers and bandits have remained undaunted over the past few months, the Nigeria Air Force (NAF) has begun a special military exercise called ‘Operation Tsaftan-Daji’ to flush out criminals. The Air Officer Commanding Special Operations Command, AVM Napoleon Bali, while launching the operation in Katsina Tuesday, said the operation was carved out of operation “Diran Mikiya” and sought assistance from other sister security agencies to boost the operation. He affirmed that the operation was launched as part of sustained efforts to flush out and permanently put an end to armed banditry and criminality in Zamfara State in particular and the North West in general, saying the operation is a full scale security offensive against the bandits. Bali further disclosed that operation ‘Tsaftan Daji’ was aimed at reclaiming every public space under the control of the bandits, arrest and bring to book all perpetrators of violence in the area and their collaborators to achieve a total destruction of criminal camps in the affected states. In his words: “The operation is also designed to add value to the existing operation ‘Saharan Daji’ for the ground forces. The security forces have been putting in their best. However, the bandits have been changing their tactics thereby killing and kidnapping innocent civilians. “The Chief of Air Staff decided that there is the need to get more air access in Katsina, so that the air planes will be able to reach areas where these bandits are hiding. We are going to dominate the air and simultaneously pound bandits hideouts to make it easier for our ground forces to go in and flush out bandits and criminals terrorising people”. While adding that the NAF commitment at protecting the sanctity of lives and property was irrevocable, Bali said the Force would not scale down the pressure on the armed bandits until they are totally flushed out in the country. 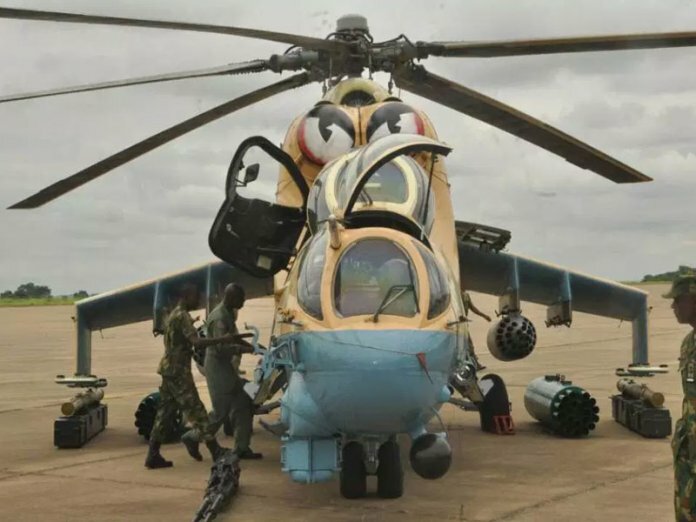 He said that NAF ha reserved enough aircrafts and fighting equipment to ensure success of the operation, stating that: “At the end of the operation, we either eliminated or reduced those unnecessary and deliberate attacks on innocent civilians in those states”.